Weather: Warm with a mist that hung over us the whole day - forecast said that it was a 100% humidity and will be like this for the rest of the week. The ground is like one big marsh and I am getting attacked by midges constantly. 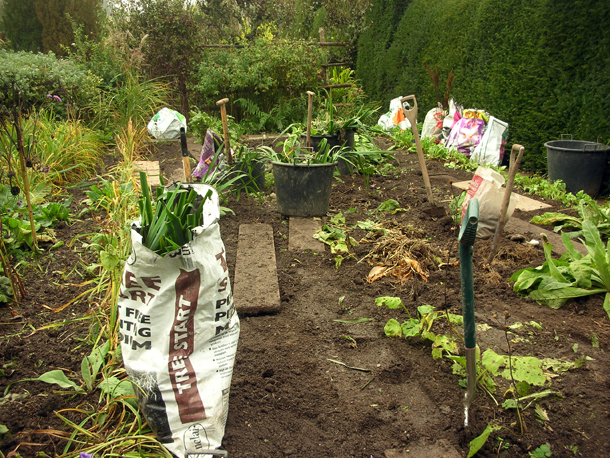 The Exotic garden takes a little longer to clean now as more and more plants die back and produce more debris. I worked in the high garden helping to lift out perennials and clearing it so that it is ready for the 200+ Hemerocallis trial we are doing. This included Telekia speciosa (aka Yellow Ox-Eyed Daisies with flowers that look a little like Inula), Rumex acetosa (common edible sorrel), different kinds of Galanthus. 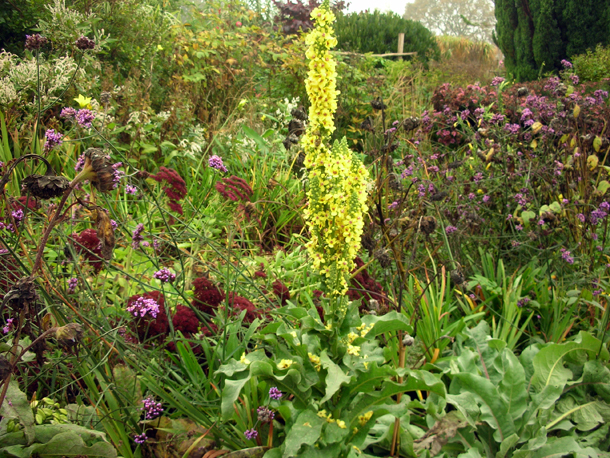 And transferring some Verbascum 'Olympicum' to a temporary bed until we are ready to plant them in our stockbeds. We took off the bottom layers of the leaves and watered them in when we had transplanted them. We are using boards a lot so as not to step directly onto the soil and compact it, especially as it is so wet at the moment.